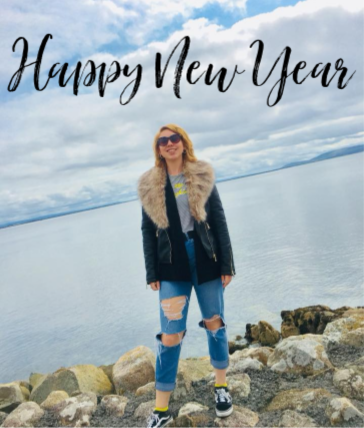 In 2018 I have learnt so much about myself and lessons in life, which is what I would like to share with you lovely people. Life is a learning curve. Full of obstacles, has it's ups and downs, just like a rollercoaster. That's what I like though, you never know what the day will bring. We all makes mistakes, but we only make them the once. I did so much of this. I would say yes to things I didn't actually want to do because I didn't want to hurt the other person's feelings. What I have learnt about this is, it's okay to be selfish, it's okay to say NO when you want too, as well as saying YES when you would like to also. I didn't realise it was making me unhappy. Once you say no for the first time, it gets easier the second and the third time round. When you feel like everything isn't going right, you're feeling kinda stressed, take a step back and breathe. I like to do a mini pamper before bed so I wake up feeling refreshed and having a fresh mind. This has helped me a lot. So taking 'you' time is definitely a must, no matter what situation you're in or what problem you are facing. I did this soooo much. I've learnt to take a step back and reveal the situation piece by piece. I've learnt this more from my therapy sessions. So you have a situation, stop and pause for a minute. Think about your mood and your thoughts. Now think about the evidence to prove that situation. Next think about about what could be the other possible reasons and evidence that proves those. It gets your mind thinking there are many other reasons to that situation, so never assume the worst, there's always two sides to a story. I would always wish I was so and so old and had my own place. No no no, stop it! I've learnt to stop wishing time away. I keep thinking I am 18, not 21 years old. Time flies, so it's time to take everyday how it comes and focus on what you are doing right here right now, and make the most of everyday. If you are having a down day, that's okay. It can be exhausting pretending you're fine, smiling away. If you're feeling low talk to your friends or family about it. I learnt it's best to speak out, that way people around you can be understanding, if you need the support they'll be there, if you want time to yourself, they'll understand that also. Just don't hold it all in and deal with it on your own.. it really isn't healthy and really does effect your mood. I have spent so many years not loving myself. I would just look in the mirror and wish I was someone else, that I had a different laugh or thinner thighs. I've learnt to accept the person you are today, everybody is beautiful, inside and out. There is no such thing as perfect, I don't even know what perfect is. Not loving yourself can effect your mood, therefore I haven't been smiling much. Smiling can help improve your mood, and just makes you look 100% better. 1. Focus on what I want to do, job wise. I have absolutely no idea what I want to do with my life. I know I'm only 21 but I just know with a blink of an eye I'll be 30 and still be working in retail. So this needs to be sorted at some point. 2. Save money. I am a shopaholic, this needs to stop. 3. Be more organised. I am awful when it comes to making schedules and sticking to things. Being more organised with help my little brain be more stress free. 4. Bake some more. This is just a hobby, but I love it way too much. I would love to be more adventurous and bake some things I've never heard of. Have you got any new years resolutions and new year goals? Have you learnt anything from 2018 that you will be taking with you into 2019?